While a few suppliers had begun to offer rooftop delivery of shingles by the mid-eighties, contractors were required to be on-site to catch the material and unload it on the roof. Identifying the desire of some customers to have material placed on the roof unassisted - without having to be on site to catch and direct - Wimsatt ownership saw the opportunity and went to work developing a plan to make it happen. First, the insurance carrier and MIOSHA were conferred with to develop a delivery plan that complied with insurance requirements and exceeded OSHA standards. Next, engineers were consulted to develop a program that would not put undue stress on the roof structure due to the weight of loaded roofing materials. To offer unassisted rooftop delivery, a two-man team would be required. Each team was equipped with two-way radios, allowing constant communication with dispatch to address any site issues on arrival. 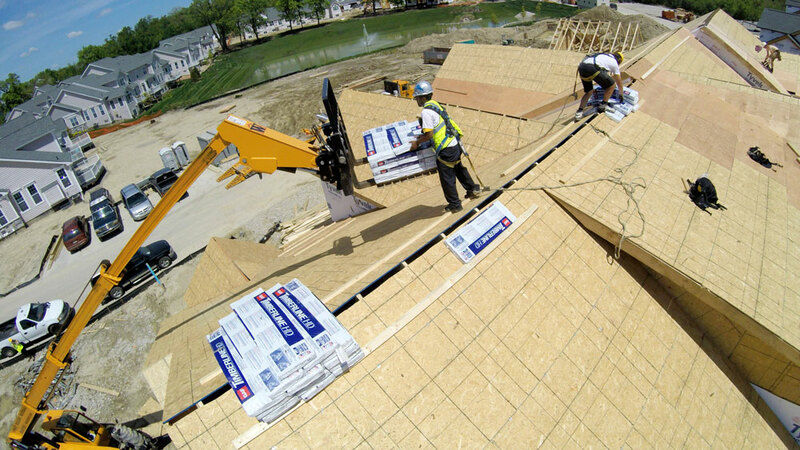 Wimsatt introduced unassisted rooftop delivery for new construction in Michigan in 1987, and expanded the service to the retrofit business the following year. 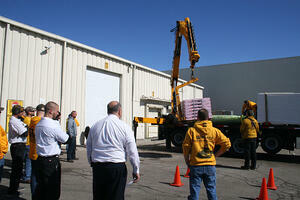 The program was a success and quickly blossomed to become the company's signature service offering. Through the nineties, Wimsatt introduced several different types of delivery equipment to accommodate the variety of jobsite conditions that exist in new construction and remodeling. 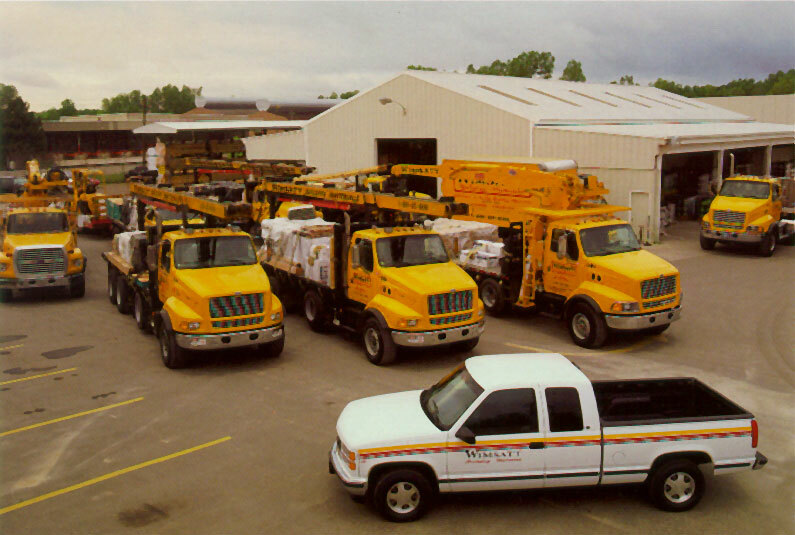 Now maintaining a large fleet of conveyor trucks, rear-mounted cranes, boom trucks, Skytraks and cranes, Wimsatt has the right tool for any type of rooftop delivery job. Utilizing GPS, state-of-the-art dispatching software, and driver smartphones, Wimsatt's dispatching teams maintain routes and delivery status with up-to-the-minute detail. 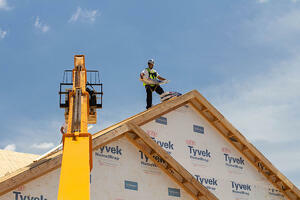 Since the beginning of the unassisted rooftop delivery program, safety has been priority one. 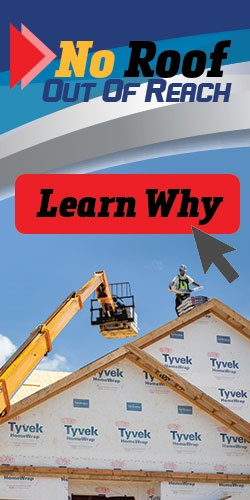 That's why, in addition to drafting a program that exceeds OSHA standards, Wimsatt employs a full-time director of safety to provide regular training at the branches as well as on-site delivery coaching. Roofing contractors are feeling the pinch of a labor shortage as we emerge from the recession, with a need to fill skilled labor positions in an industry that has been subdued for several years. Conditions were similar in '05 and '06... then, as now, unassisted rooftop delivery saves roofing crews time, money, and effort by delegating the grunt work of roof loading to your distributor. That means less labor time waiting and loading, and more time efficiently installing shingles. Wimsatt has been providing unassisted rooftop delivery service to builders and remodelers of all sizes - from sole proprietorships to national chains - for over three decades. Contact the rooftop delivery experts at Wimsatt for your next steep slope roof job and see how unassisted rooftop delivery can help your roofing crews work more efficiently, saving time and money! Previous Add Stone to your Exteriors - No Mortar Required!